It is mandatory that you acquire your golden ticket prior to the first day of tryouts or you will not be allowed to participate. Register and pay online (registration opens mid July – check Spartan Athletics website) , then bring a copy of your current sports physical to the Athletics Office to receive your Golden Ticket. For questions or more information contact Coach Rhee. 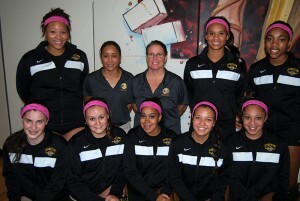 Coach Rhee has coached club and high school volleyball for nearly three decades. His passion for the game began in college at Columbia University where he played for the Columbia Men’s team in his senior season as the setter. The team capped their season off with a 2nd place finish at the Ivy League Championships to nationally ranked Princeton. After moving back to his hometown of Toledo, OH he coached the Genoa High School varsity team to its best record ever, as well as coaching the North Coast Elite boys team to a top 20 finish at the Junior National Championships – one of only two non-California teams to earn such a distinction. 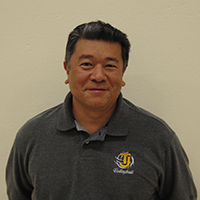 After moving to Colorado, Coach Rhee began coaching at Sportsbridge / NuuSky working with several different age groups. Coach Erik formed the 303 Volleyball Club in 2009. In 2013, Coach Erik led the 303 VBC 18 Elite team to a bid to the Junior National Championships in Dallas where the team finished tied for 21st in the American Division. This capped a season in which the team finished 4th at Crossroads, 2nd at Big South and 10th at the Show Me Qualifier. In 2014, Coach Erik helped the 303 VBC 13 Elite team earn a bid to the Junior National Championships in Minneapolis in the National Division. In 2016, Coach Erik led his 18 Alpha team to a bid in the American division where the team finished tied for 11th. 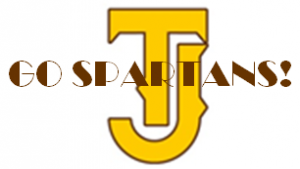 Coach Erik joined the coaching staff at Thomas Jefferson High School in 2014 as the Assistant Head Coach to legendary TJ coach Kathleen Nickless and helped the team to a 17-7 record, an appearance at Regionals and a 2nd place Prep League finish. Coach Erik is married to Ann, and together they have two children – Alissa and Jason. Coach Erik can be reached at eriklrhee@gmail.com.